He's not letting it go! 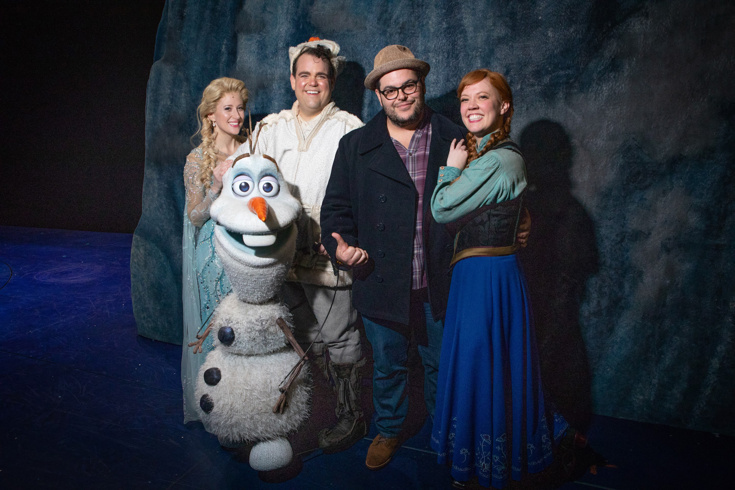 The original voice of Olaf, Tony nominee Josh Gad, visited the cast of Frozen on Broadway on November 13. Gad voiced the friendly summer-loving snowman in the mega-hit Frozen movie in 2013 and will reprise his role for the upcoming sequel. He is also known for his Tony-nominated turn in The Book of Mormon and for appearing in The 25th Annual Putnam County Spelling Bee. Gad got together with Frozen stars Caissie Levy, Greg Hildreth and Patti Murin to celebrate his return to Arendelle. Check out the photo and plan your own visit to see the cast in action.